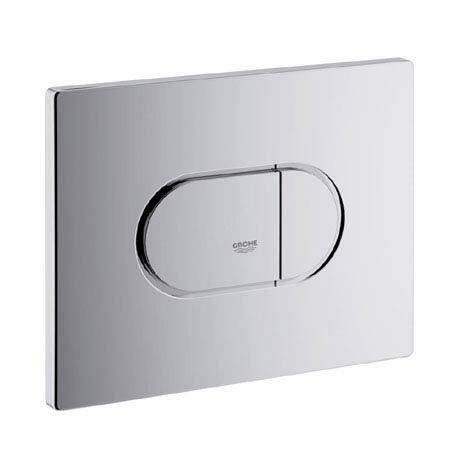 The Arena Cosmopolitan flush plate is made of ABS and finished in GROHE StarLight® easy clean chrome. The Dual flush and the Start-Stop functions ensure easy operation. You can choose between a large or small flush and the Start-Stop technology allows you to prematurely stop the flushing by pressing the button again. Please note: Flush plate can only be installed horizontally as pictured. "Replaced the existing flush like I needed it too, good product."